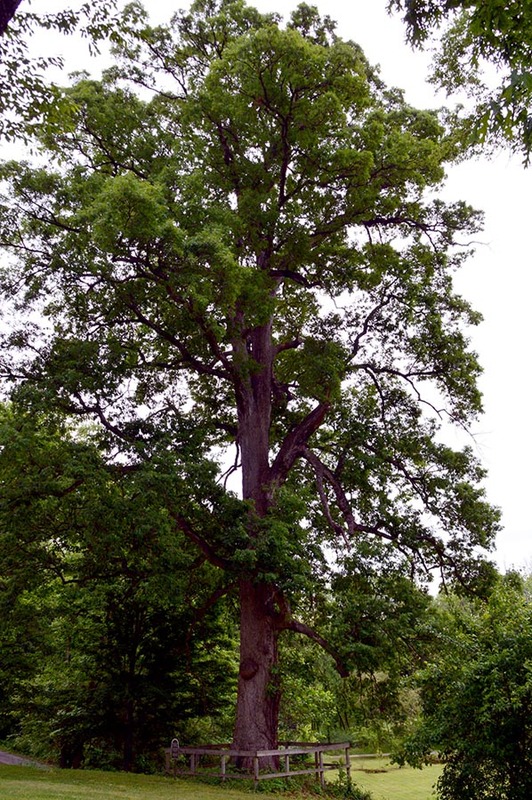 This white oak witnessed the occupation and encampment of the Federal forces (9th Michigan Infantry) under Colonel William Duffield in 1862. On July 13, 1862, his unit surrendered along with the entire Federal army around Murfreesboro after a daylong battle with Confederate Colonel Nathan Bedford Forrest’s troopers. The wounded Colonel Duffield became a prisoner of war in the home of Major Lewis Maney (now the Oaklands Mansion), where Federal officers conferred about the imminent surrender. In December 1862, Confederate President Jefferson Davis and Colonel George W.C. Lee (son of Robert E. Lee) visited the site prior to the Battle of Stones River. After that battle, Murfreesboro returned to Federal control for the remainder of the war. This magnificent tree, over 250 years old, stands on the grounds of Oaklands Park adjacent to the Oaklands Historic House Museum.